Sher- I Kashmir Institute of Medical Sciences Notification 2018 – 199 Gardner, Mechanic, Staff Nurse & Other Vacancies : Apply online for various jobs in Sri Nagar Medical College. SHER –I Kashmir Institute of Medical Sciences has release SKIMS Recruitment Notification 2018 to provide jobs for government job seekers. There are total 199 vacancies of Staff Nurse, Gardner, Mechanic & other posts. The SKILMS Srinagar Jobs Notification has issued on 23rd July 2018. Applicants those are completed their qualification in Medical Science can apply online for SKIMS Vacancy 2018 from 10th August 2018. The last date of submission Sher-I Kashmir Institute of Medical Sciences Career is 10.09.2018. Rest Details about SKILMS Eligibility, Selection, Application Fees and other related check below section as well as official site skims.ac.in. Who Are Eligible For Sher-I Kashmir Institute of Medical Sciences Vacancy? What is the Selection Process for SKIMS Recruitment 2017? How To Fill SKIMS Recruitment 2017 Online Application Form/ skims.ac.in Technician Jobs 2017 ? What Are the Documents to be send for SKIMS Technician Vacancy 2017 ? Junior Pharmacist : B.Pharmacy from an Institute recognized by government for SKIMS Jobs. Nursing Aid, CSSD Attendant, Masalchi, Gardner, Washer Man, Tier Attendant & Greaser : Matric With Relevant trade Experience for SKIMS Recruitment 2018. Furthermore information check Sher-I Kashmir Institute of Medical Sciences Notification. Here we mention category wise age criteria of Sher-I Kashmir Institute of Medical Sciences Vacancy. Rs. 300/- deposit in any J& K Bank in the account no. mention on e-challan only. For more details SKILMS Jobs Notification check, which is also mention below. Candidates who are interested and eligible also for SKIMS Vacancy 2018. 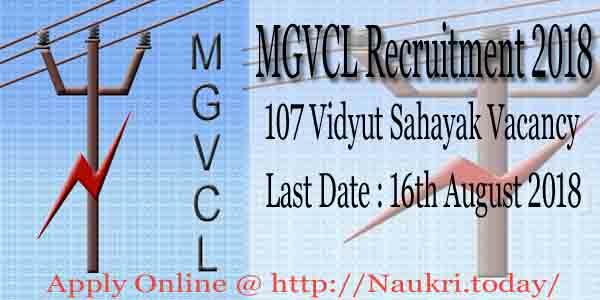 Before going to apply online, applicants must have scan photograph and signature. Now you can follow some given below instructions. First of all candidates go to official site skims.ac.in. 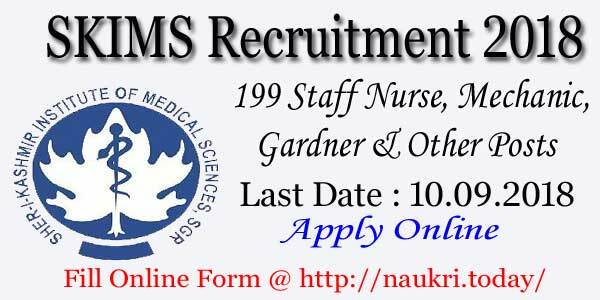 Click on the link Apply Online For SKIMS Recruitment 2018. Fill online form with all require details like personal and educational. Now submit SKIMS Vacancy Online Form carefully. Generate E-Challan and submit J& K Bank account no. specified in your e-challan. Submit your application fees and then take copy of e-challan for future uses. Conclusion: SKIMS Recruitment 2018 for 199 Staff Nurse, Mechanic, Gardner & other vacancies. Apply online started on 10.08.2018. Candidates can fill online form of SKIMS Vacancy from here till last date 10.09.2018. Sher-i-Kashmir Institute of Medical Sciences has declared the SKIMS Recruitment 2017. Applicants must have completed Degree in Graduation from recognized university. The organization authority will provide all the details for applicant. The applicant who are eligibility can apply for the SKIMS Junior Assistant vacancies via online mode. Last Date of submission application form is 24th July 2017. SKIMS 2017 is inviting prescribed application form for the applicant who are looking for govt. Job for Junior Assistant & Technician Recruitment. SKIMS Department has declared Jr Assistant. Applicants can apply application form for Sher-i-Kashmir Institute of Medical Sciences Vacancy & submit it online at the official website of SKIMS. All the details about SKIMS Junior Assistant Recruitment 2017 like Eligibility standard, official website, Age criteria etc. is given as under. For Sher-I-Kashmir Institute of Medical Sciences Technicians Medical Group, Deployment Monitor Grade-II, Assistant, Barber Grade-III, Dispatch Rider, Sanitary Supervisor Grade-II, Driver Grade-II applicant who have completed 10th, 12th from recognized Board, Any Degree like B.Sc Medical Technology Bachelor from recognize University, applicant can apply for the SKIMS Recruitment 2017. Minimum age for the SKIMS Recruitment 2017 must be 18 years and Maximum age should be 40 years as on 24.07.2017. Selected applicant for SKIMS Technicians Medical Group will get good salary, which is given below. Selection of the applicant for SKIMS Recruitment 2017 for the post of Deployment Monitor Grade-II, Assistant, Barber Grade-III, Dispatch Rider, Sanitary Supervisor Grade-II, Driver Grade-II. applicant will be Selected based on the Interview. Applicant who want to apply for SKIMS Recruitment 2017 have to pay application fee with the application form. General/OBC applicant should pay Rs 524 PB-2. and ST/SC Pay Rs 324/-. Eligible applicant can apply for the SKIMS Vacancy, follow the given steps which is given below. First applicant go to the official website of the SKIMS and log on. Open the SKIMS Application Form link. Read all the instruction and details carefully. Then enter all the personal and educational details carefully without mistake which is asked. Upload the scan passport size photo and signature. And needed documents which will used in online payment of the application fee. Submit online form after rechecking. After rechecking click on the “SUBMIT” Button for SKIMS Notification 2017 – 18. SKIMS department will send all necessary details about SKIMS Vacancy 2017 such as Applicant SKIMS Exam Registration ID and Password. Take the printout of the submit application form and keep it save for future reference. Conclusion SKIMS Recruitment 2017 : Sher-i-Kashmir Institute of Medical Sciences Recruitment 2017 for 94 Junior Assistant Jobs. Applicant can fill application form for SKIMS Recruitment from here before the last date 24.07.2017. Sheir – I – Kashmir – Institute of Medical Sciences has released notification for 58 Technician Perfusion Technology & other vacancy. Candidate who are interested in Technician jobs should check the details from official website. Those who will fulfill the eligibility criteria can apply from 10.02.2017 to 28.02.2017. You have to fill SKIMS Recruitment 2017 Application form in online mode. Some of the information are given in the next section. 58 Technician Lab Group, Technician Theater Group & other vacancy are released under Sheir – I – Kashmir – Institute of Medical Sciences. Applicant who are the resident of Jammu & Kashmir should check the SKIMS Technician 2017 Notification. As per the notification the application form for SKIMS Technician Jobs 2017 will be filled in online mode. Student should read the other information like Education Qualification, Selection Criteria, Age Limit etc. below. Applicant should have passed B.Sc. in concerned stream from any recognized university or institute for SKIMS Recruitment 2017. Minimum age of the candidate should be 18 years and maximum age should be 40 years as on 01.01.2017 for SKIMS Technician Vacancy 2017. Age relaxation should be applicable as 05 years for SC/ ST category and 03 years for OBC category for SKIMS Vacancy. After the selection in SKIMS Technician Recruitment 2017 candidate will be paid Rs. 5200/- to Rs. 20200/- with grade pay of Rs. 2400/-. Applicant should pay Rs. 300/- with bank charges of Rs. 15/- in any bank of Jammu & Kashmir for SKIM Technician Jobs 2017. Selection of the candidate for SKIMS Vacancy 2017 will be made on the basis Interview. To know more information candidate should check the SKIMS 2017 Notification. Log onto the Sheir – I – Kashmir – Institute of Medical Sciences website i.e. www.skims.ac.in. Click on the Careers link and check the next page. In the next page click on “Online Application for the post of Technician Perfusion Tech., Technician Lab” link. Open the SKIMS Recruitment 2017 Notification. 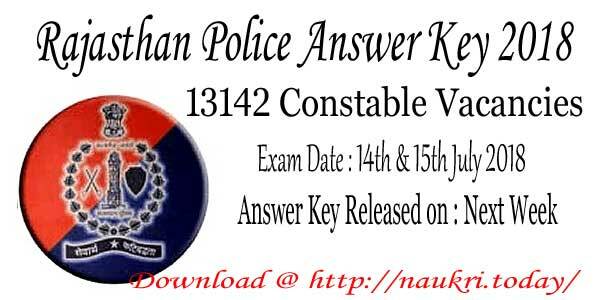 Read all the information carefully and fulfill the eligibility. Click on Apply Online link and proceed to further steps. Candidate should fill all the details with correct information. Recheck the complete form after filling all the details. Click on the submit button and submit the SKIMS Technician Lab Group Vacancy Application Form. Take a print out of it and note ID & Password for future use. Certificate of being married/ unmarried from a Gazetted Officer in case of female candidate in falling under any reserved category. Conclusion : SKIMS Recruitment 2017 for 58 Technician Vacancy. Applicant who are eligible to apply for SKIMS Technician Theater Group Jobs 2017 should submit the application form before the last date i.e. 01.02.2017.